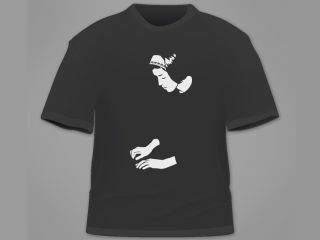 The enduring popularity of electronic music pioneer Delia Derbyshire has been borne out with the news that a T-shirt featuring her image sold out in less than a day. On Sunday, a post on Analog Industries showed the design of the $18 shirt, and asked those who wanted one to make a reservation via email. However, later that same day, an update read: "I'm cutting off all reservations right now, as we've reached the limit of what I can deal with without outsourcing this thing to India." Sadly for MusicRadar and others who missed out, this was a once-only run, so there's little likelihood of you getting hold of a Delia T-shirt now if you haven't already registered you interest. That said, Analog Industries does say that a couple of dozen may be available once all the current orders have been fulfilled, so keep your eyes peeled. It also has plans to make more icon-inspired shirts, with Stockhausen being one name that's already been mentioned.